Taxes are a complicated system of government contributions that you must make. As April 15th looms closer, it is a good idea to start preparing this year’s taxes now. One of the biggest portions of your fiscal earnings will go to income tax. Income tax is a tax that is imposed on individuals that varies with the income or profits of the tax payer. Currently, the United States has a variety of tax brackets that a person can fall into based on their income. This is called their income tax rate. Below, we have outlined some of the most important information you need to know to understand your income tax rate. What Are The Different Rates? Income tax rates vary year by year. These numbers are constantly adjusted to account for inflation, as well as increased or decreased taxes. This is why it is not certain that this year’s income tax rates will be the same next year, or even a few years from now. Currently, the 2016 income tax rate for individuals making $9,275 or less is 10%. For individuals making up to $37,650 the rate is 15%. As the income gets higher, so does the percentage rate. Individuals making more than $415,050 per year will pay up to 39.6% in taxes. It is important to consider these tax brackets before you begin filing your taxes. However, you will not need to enlist financial consulting services in order to understand the concept. Understanding where you fall on the spectrum so that you know what to expect come April 15th is important. If you are going to be filing 2017 taxes a single person household, there are certain tax brackets that you may fit into. The 10% tax rate is reserved for the taxable income bracket of $0-$9,325. The next rate is 15% is for those that make $9,325 to $37,950 annually. If you make $37,950 to $91,900, the tax rate for you will be 25%. A 28% tax rate is used for those making $91,900 to $191,650. If you make $191,650 to $416,700, you will be taxed at a rate of 33%. 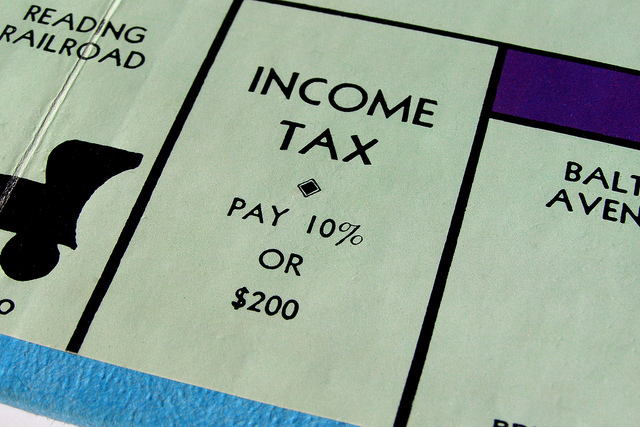 Incomes of $416,700 to $418,400 are taxed at a rate of 35%, and incomes above $418,400 are taxed at 38.60%. These are the tax rates for each taxable income bracket in 2017. Does It Vary By How You File? In addition to varying year by year, your income tax rate can also vary by how you file. As explained above, individuals making up to a certain amount can be taxed differently, which is what you can expect when filing as a single person. However, when you file as a married joint filer or a head of household, your tax bracket will be effected. This is also true if you file as a home based business. What Are The Other Filing Options? Other filing options include Married Filing Jointly and Head of Household. Couples filing jointly will fall into a particular tax bracket if their combined income is double that of the individual filer. For example, individuals making less than $9,275 will pay 10% in taxes, but couples earning double that amount ($18,550) will also pay 10%. Next is the Head of Household filing status, which allows individuals making slightly more money to fall into a lower tax bracket. For example, in order to pay only 10% on taxes, Head of Household filers only need to be making less than $13,250 per year, rather than $9,275. What Is Your Effective Tax Rate? Although you may fall into a certain tax bracket of 15%, 25% or 33%, this does not mean that you will actually be paying that much. The actual percentage of your income that goes to the IRS is known as your effective tax rate. Your marginal tax bracket, what percentage your income falls under, is just one part of the equation. This is similar to how a fixed expense is just one part of your overall expenses. Your effective tax rate is how much you will pay based on your taxable income and progressive tax rates. Your income tax rate is something that you should become familiar with before April 15th. When doing your taxes, it is important to understand where your income falls within these tax brackets and how it will be taxed. Be sure to refer back to this post to alleviate any confusion the next time you are looking over your taxes.